An everyday life's Odyssey » Up. Up. Last week-end, in France, during heritage days, lots of places usually closed to the public were opened and freely accessible. 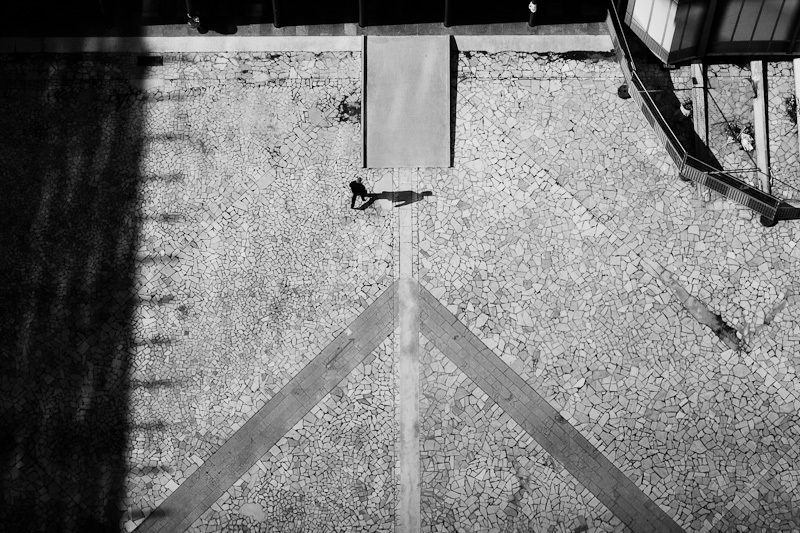 We went to the top of Jussieu’s tower, and while the view is breathtaking, I couldn’t resist shooting this details down the tower. Bonne idée d'avoir regardé en bas ! Très beau ce motif de pierres irrégulières.